PRESS RELEASE: DENNOUNCING TERRORIST ACTS AGAINST UNARMED RWANDAN HUTU REFUGEES BASED IN THE EARSTERN DEMOCRATIC REPUBLIC OF THE CONGO. 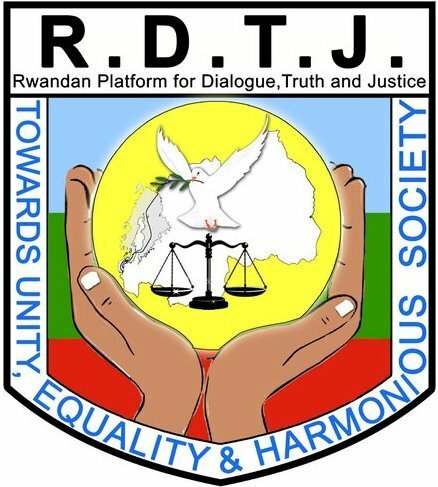 The Rwandan platform for Dialogue, Truth and Justice (hereafter “RDTJ”) condemns in strongest terms the senseless, heinous terrorist acts committed by the Mission de l’Organisation des Nations Unies pour la Stabilisation en République Démocratique du Congo (hereafter “MONUSCO”) in co-operation with the Forces Armées de la République Démocratique du Congo (hereafter “FARDC”) and the Rwandan Defence Force (hereafter “RDF”) against Rwandan refugees. These are Rwandan citizens from a Hutu background who fled Rwanda to seek a safe haven in the Democratic Republic of Congo (hereafter “DRC”) since 1994 to date. On the 11th of June 2015, Rwandan refugees based in Kanyabayonga and Kisangani Transit Camps respectively were mercilessly attacked by these allied forces. The barbarous and cold attacks were coordinated by Mr Martin Kobler, Head of MONUSCO and Col. John Peter Marengo Bolalo, Head of the FARDC in the Oriental Province. In these attacks, innocent refugees, mainly women, children, elderly and the infirm lost their lives and many others were injured. Refugee representatives were arbitrarily arrested and detained. Other representatives were, shortly before these attacks, abducted, especially in the Walungu and Kanyabayonga areas. The RDTJ takes this occasion to denounce abduction of refugees and their incommunicado detentions and calls upon their unconditional releases. The abducted includes former Major Faustin Mugisha, former Major Joseph Birindiro and two female refugee representatives. Both abductions and terrorist attacks created so much fear and panic among Rwandan refugees who had been abandoned by the international community to die from all forms of suffering, including starvation, illness, lamentation, misery and distress. Instead of protecting humanity, the international community through MONUSCO has been subjecting Rwandan refugees to further persecutions. These crimes against humanity have been committed for two decades now and there is no end in sight. Undeterred of shedding more blood of innocent people, MONUSCO, in conjunction with the FARDC and RDF, has threatened to continue to attack unarmed refugees in their camps unless they accept to return back in Rwanda. Self-evidently, these attacks aim at depriving refugees of exercising their right to voluntary repatriation or local integration as a durable solution. Forcing Rwandan refugees to repatriate has been prioritised by the UNHCR when it revoked their refugee status through an invocation of article 1C(5)-(6) of the 1951 Convention Relating to the Status of Refugees in December 2013, popularly known as “the cessation clause”. The cessation clause applies to all Rwandan refugees who fled Rwanda between 1994 and 1998 irrespective of their country of asylum. Nevertheless, Rwandan refugees who are currently in the DRC are survivors of forced massive repatriation and killings that took place between 1996 and 2000, perpetrated under the auspices of the UNHCR; an organisation which was created to protect refugees without discrimination of any kind. The forced repatriation and massive killings were organized and coordinated by the RDF, shortly after forming an alliance with the Alliance des forces Démocratiques pour la Liberation du Congo (“AFDL”) in 1996. Allied together, they invaded the DRC and destroyed the refugee camps, which were based in North and South Kivu. The UN Mapping Report of 2010 estimates that 300 000 Hutu refugees were killed by the RDF in a systemic and systematic manner. It classified these killings as genocide against Hutu population pending confirmation by a competent court. The RDTJ therefore appeals to the AU and SADC in general and to the African Heads of the States and Governments in particular to condemn these acts of terrorism against unarmed and defenseless Rwandan refugees who have been suffering from the scourge of wars for two decades. It calls upon the aforesaid leaders to support a political settlement suggested by the Forces Démocratiques de Libération du Rwanda (“FDLR”) and other opposition parties. The RDTJ believes that the desired African unity and solidarity would not come by when we have millions of refugees uncared for and unprotected and when justice is denied millions of people who are victims of proxy and neocolonial wars. To set our feet in the path to African unity, it is unavoidable to begin both with resolving political conflicts at national levels and with dispensing justice to all victims equally. Leaders should be courageous enough to unreservedly condemn, in all its forms, terrorist attacks, political assassination, and subversive activities on the part of neighbouring States or any other States. These heinous acts have serious impacts of depriving human beings of an appropriate environment to live a life of dignity. Our immediate thoughts and prayers are therefore with the wounded and with the families of those who lost their beloved ones, and with those who have been and continue to be the victims of neo-imperialism in the pretext of maintaining international peace and order in the Great Lakes region. It certainly must be admitted that the super powers further imperialism through the operations of the United Nations’ contingents and fundamentally focus on rooting the natural resources through creation of unnecessary conflicts at national levels. The super powers pay little or no attention to humanity and morality. It is time we, as Africans, stand up together to fight against neo-colonisation being expanded through certain leaders who are agents of super powers. Done at Cape Town, South Africa, on the 18th June 2015.